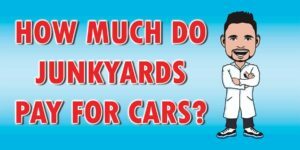 Auto salvage yards can be veritable treasure troves for gearheads and car enthusiasts who are looking for a great deal nearby. If you haven’t ventured beyond those gates, you are missing out! Contrary to popular belief, they are not filled with junk. There are actually some very valuable things you can get from a car salvage yard – and you can get them for a song. Often, when a car is scrapped, it still has salvageable parts. These parts can be recycled so the entire vehicle does not have to be disposed of. If you are looking for parts for your car, checking out your local salvage yard is a greener option than purchasing the part new. No part of the vehicle is off limits, as long as that part is in good shape. You might pull seats, bumpers, windows, or even the engine. Some scrap yards will refurb large components like engines and transmission then resell them. If you are handy with some tools you can do it yourself. We pay more for cars then other salvage yards. Don't believe us? Get your instant quote now by calling or clicking the button below now. Rather shop around? 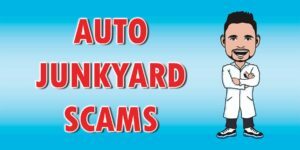 No problem, check out this list of auto salvage yards that buy cars near you. Classic and vintage collector cars can carry a very nice price tag when they have all original parts. There are sites that sell replicas of the original parts, but that still lowers the value of the vehicle. If you can manage to find original parts, they can be expensive. Picking through an auto salvage yard can be a cost-effective way to find the parts you need. Even some more modern cars may have difficult to find parts. An older vehicle that is no longer in production may have some parts that are tough to find. Sure, the dealership may have a few lying around, but who wants to pay dealership price? Taking a walk through an auto salvage yard to find the parts you need can save you hundreds of dollars. In many cases, they are deeply discounted, 40% to even 75% off of retail price. If you do happen to find your year, make, and model of vehicle, it might be in your best interest to go ahead and pick up what parts you can to have them on hand should you need them, especially if the vehicle is rare or the parts are difficult to find. Sure, you may have to take an afternoon stepping around junk cars and discarded parts. You might get a little dirty, especially if it is a U-Pull-It lot here you get the part yourself, but in the end, that extra labor on your part will save you money. And isn’t that the name of the game? Why spend the extra money if you don’t have to? Maybe you have an old car lying around, taking up space in your yard or garage. It doesn’t run and isn’t of much value to anyone, so what can you do with it? It might be tempting to sell it for scrap, but what if there was a better way? 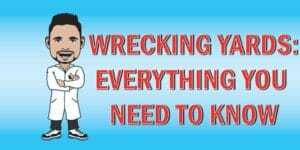 What if you could get more for your junk car than scrapping it? There are auto salvage yards that want your car and are willing to pay cash for it. Many will even send a tow truck to pick up your junk car for you. All you have to do is be there to sign it over and collect your cash. 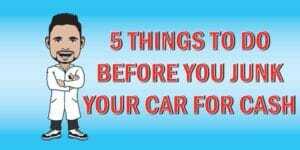 There are other factors that could affect the amount you get to scrap your car. The year, make, and model can have a bearing. Also, if the car is selling nearby via the internet or paper, it can lower the price. A saturated market is rarely profitable. Shop around for quotes; don’t settle on the first place you call until you’ve gotten quotes from at least three places. If you can drive it to the yard, do it. “Free towing” is fine, but you are likely to get more if they don’t have to shell out any money to get your car to their yard. Whether they put your car in the salvage yard to scrap it right away is completely up to the salvage company. You will still get your money. The cool thing about steel is that it can be recycled over and over while maintaining its strength. So, while your junk car may find its way to the scrap yard and be destroyed, it could be resurrected in some really cool way when the steel is recycled. You get some cash and you get to help the planet. What more could you ask for? You’ve probably seen at least one article about someone who was poking around in an auto salvage yard and found some super rare car or motorcycle. It happens from time to time. Most of the staff at an auto salvage yard can identify rare or high-value vehicles. Sometimes they just let it go on through because it’s only the body or the body and chassis. Those are the fun projects. Of course, you will have to find the parts that actually make it go. But you can probably find them at a salvage yard too. Imagine finding some great old body and chassis, then building it from the ground up. It takes time, patience, and a lot of know-how, but it can be done. Who knows? Maybe you’ll be poking around in the auto salvage yard and stumble across this great find that you can resto and rebuild. How cool would that be? Likewise, you might find salvage yard gold by selling your car for scrap and getting top dollar. 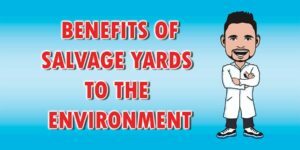 Don’t ever discount the power of the salvage yard. There are often some pretty incredible finds in there if you are willing to put in the time and dig a little. Why go to a salvage yard? 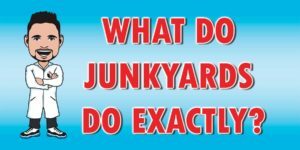 Are Salvage Yards Open on Sundays? 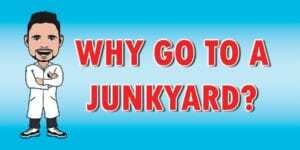 Do you need a good reason to visit an auto salvage yard? We have ten of ‘em! You can find cheap car parts. This is the first and most obvious reason, but it’s true! You can save yourself some extensive body work by finding quarter panels, bumpers, doors, and hoods to replace the damaged areas. You can peek into other people’s lives by digging through the glove box and trunk. It is amazing what some people will leave in their cars when they send them to the salvage yard. 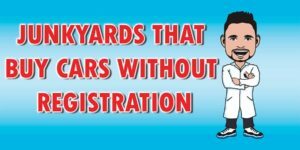 Sometimes though, the person never had the chance to get their belongings because the car was taken to the yard via a third party. You can find replacement windows. Whether you are looking for a replacement window for your van or some glass for your car, you can probably find it at the salvage yard. As long as you can retrieve it yourself, it will cost much less than going to a glass store. You can get refurbished engines and transmissions for cheap. It’s true. Many auto salvage yards will refurbish components like engines, transmissions, and alternators, then sell them for a profit (but they’re still far less than going to a dealership or even a mechanic’s shop). 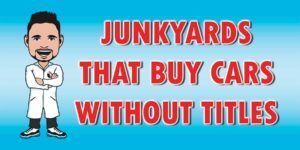 You can get cash for your junk car. Many salvage yards are willing to pay cash for your car, especially if it is going to be scrapped. You need to shop around a bit to make sure you are getting the best price, but if you need cash fast, this is a great way to go, plus it gets you more space in your garage. You can enjoy the experience and you might find gold. You never know what you are going to find at an auto salvage yard. You might find your next resto project sitting among the forgotten carcasses of yesterday’s bright and shiny kings and queens of the road. A little paint, a little work, and a lot of TLC could get you the car of your dreams. You can help save the planet by recycling car parts instead of buying them new. Recycling is good for the environment and choosing to get your car parts second hand from a salvage yard is much cheaper, and a whole lot greener than getting them from a dealer or vendor who sells parts. You can find replacement parts rare or uncommon cars. If you have a rare car or are looking for obscure parts, you might have some luck at your local auto salvage yard. You can call to see if they have the car on the yard, or some places have their inventory online. Try to check ahead of time and save yourself from making a useless trip if it isn’t there. You can turn a wrench and get grease under your nails. Ah! This is the best part of going to a salvage yard. You get to crawl around in cars and get dirty. It doesn’t get much better than that! 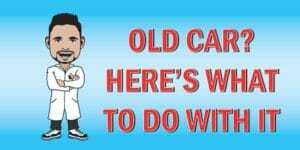 Need an Auto Salvage Yard Near You?